Help send women who are immigrants, first generation college students, or those from Economically Distressed Areas to college! The goal of Shattering Glass Ceilings Scholarship is to provide every woman in America the opportunity to pursue a higher education. Seems like a lofty goal, right? Maybe it is, but we think if you’re going set a goal, you should make it the one you’d most like to achieve. Why focus on educating women? We are firm believers that when you educate a woman, you educate a family. Communities at large are better off when women are educated. In 100 years, America has progressed from women not being allowed to vote to electing the first female candidate to represent one of the two major political parties. We want to continue to empower women to break all the glass ceilings that still exist in society, and one of the ways to realize this is to ensure that all women have access to a higher education to help them achieve their personal goals. One of our goals is to also ensure that the women who are attaining higher education accurately represent America’s complex diversity. While women comprise 57% of the student population at degree-granting institutions in the U.S., the women attaining their degrees do not adequately represent our diverse population. For example, white and Asian women are significantly more likely to complete college than black or Hispanic women. And, according to a 2014 report by the White House, while 50% of people from high-income families will earn a bachelor’s degree by the age of 25, only 10% of people from low-income families will. It’s important that we work to narrow these gaps. We don’t yet know how the new presidential administration’s higher education plan is going to continue to play out over the next three years, but it is likely be to quite different than it is now. Donald Trump’s campaign speeches, statements made by his campaign co-chair, and the RNC platform, however, indicate that they want to transition the lending process away from government and toward private banks and colleges. Students from low-income communities will likely suffer the most under this new vision as students as financial investments. Shattering Glass Ceilings Scholarship wants to find these women—those from low-income families, immigrants, and those from economically distressed areas—and grant them a scholarship so they can realize their dreams. There are lots of scholarships available, so what makes Shattering Glass Ceilings Scholarship unique? This is a grassroots campaign where we will pool our resources to help others. Over the years, we’ve seen grassroots organizing accomplish amazing things. For instance, the discovery and isolation of one of the genes that causes ALS was the direct result of money raised via the Ice Bucket Challenge of 2014. This is a great example of the impact people can have when they come together around a common cause. Individuals don’t have to contribute lots of money to be part of something that can have a huge impact. In other words, we know that together we can accomplish something extraordinary. 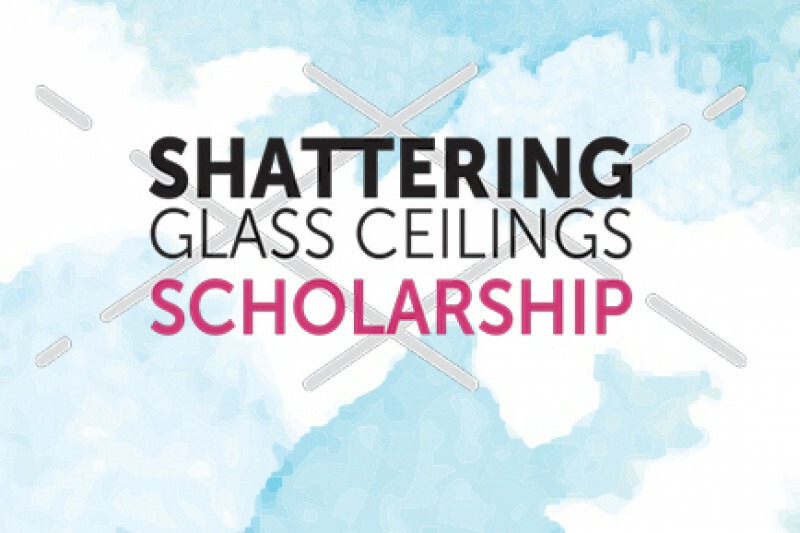 Shattering Glass Ceilings Scholarship provides scholarships to women, 28 years or younger, who are pursuing higher education at non-profit institutions located in the United States of America. The institutions may include colleges, universities, community colleges, technical colleges, and trade schools. Applicants need to be already enrolled or accepted at an institution and currently paying (or planning to pay) for part of their education out-of-pocket or through loans. We want to offset or cover those fees. Shattering Glass Ceilings Scholarship will prioritize scholarships for those who fall into one or more of the following categories. The number of scholarships and the amount of each scholarship we provide will depend on how much money we raise via our grassroots campaign. The scholarship will initially be offered for one year, with future funding contingent upon both our available funds and the student’s academic performance. Shattering Glass Ceilings Scholarship is under the umbrella of the non-profit organization Kerosene Lamp Foundation http://kerosenelampfoundation.org, whose mission is to empower youth to grow into healthy and well-educated adults. Together we can help transform peoples’ lives through education, because when we shatter the ceiling, the sky's the limit! Emily Loeb is the founder of Shattering Glass Ceilings Scholarship. When she’s not working on writing her novel, she serves as the Executive Director of the Gendler Grapevine Project http://www.gendlergrapevine.org. Founded in 2012, this 6-year sunset project has supported 41 innovative and replicable initiatives within the Jewish community that promote environmental sustainability and social justice. Previously, Emily worked for the Native American- and woman-owned company, Kauffman & Associates, Inc. Serving in various capacities, she traveled throughout Indian Country working with tribes, government agencies, and individuals on community and economic development. Emily has served on numerous non-profit boards and was a volunteer tutor working with immigrant women who are aspiring to improve their English literacy skills and gain citizenship. Emily lives in Pittsburgh, Pennsylvania with her husband and two kids. My goal is to be able to increase the number of scholarships we award in 2019. I hope you'll consider making a donation to our fund again this year. Earlier this month, I had the great honor of informing three young women that they are receiving scholarships to help offset some of their loans and tuition payments for their college education. I wish you all could have been on those calls to hear their joy and appreciation. It is #GivingTuesday. As you decide which organizations you will be contributing to today, I hope you consider donating again to Shattering Glass Ceilings Scholarship. We are in the beginning phase of raising funds so we can award another round of scholarships in 2018. The more money we raise, the more women we can support as they work to improve their lives through education. As many of you know, this is a volunteer project for me; your donation goes entirely to fund the scholarships. As this is a grassroots campaign, I also need your help in spreading the word about it. Please share this project with your friends and family. Thank you again for being a part of Shattering Glass Ceilings Scholarship. Helping these young women could not happen without your support. Look what we did together! Through our collective donations (plus a few more that were made directly to the scholarship fund via check), we are helping three young women achieve their goals of earning a post-secondary education! Thank you so much. As our funds allow, we will award a second round of grants in the spring. If you are inspired to donate again, thank you! I'm writing a quick note to thank you again for your support! I'm pleased to let you know that Shattering Glass Ceilings Scholarship will soon be announcing our first round of grantees! We are very excited to help three young women from across the country as they work to achieve their goal of attaining an advanced degree. So proud of the goodness you are putting into the world through this scholarship fund!